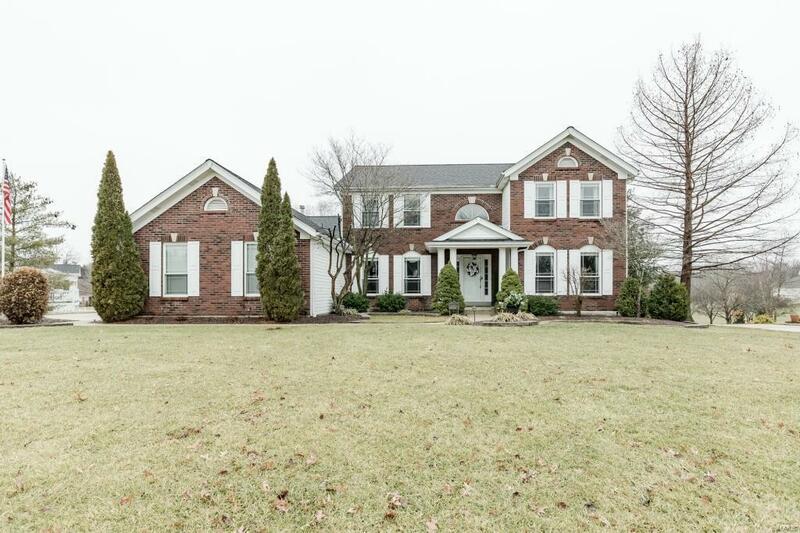 2-Sty, .46 acre lot, 4Bd/ 3.5Bth, 4400+ Sqft including W/O LL! 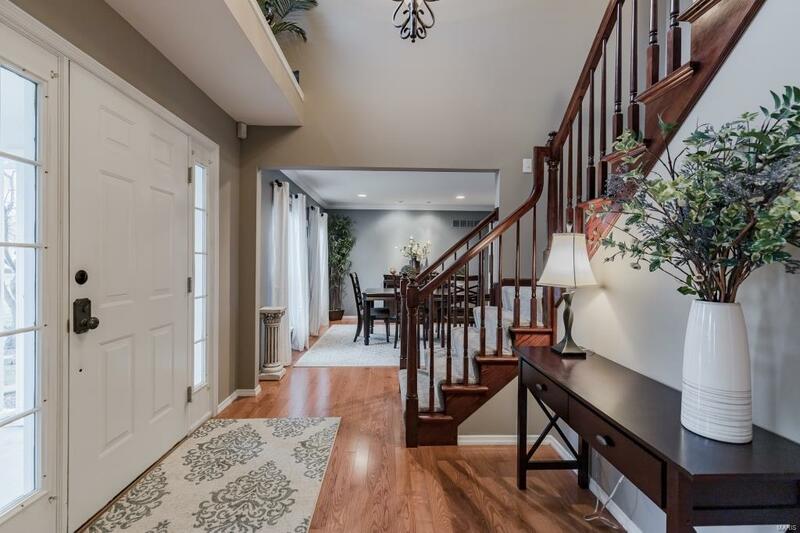 2-Sty Foyer w/hardwoods, Office & formal Dining Rm w/crown molding & hardwoods. Living Rm FP & bay window. Hearth Rm FP, vaulted ceiling-newer fan & fresh paint 18. 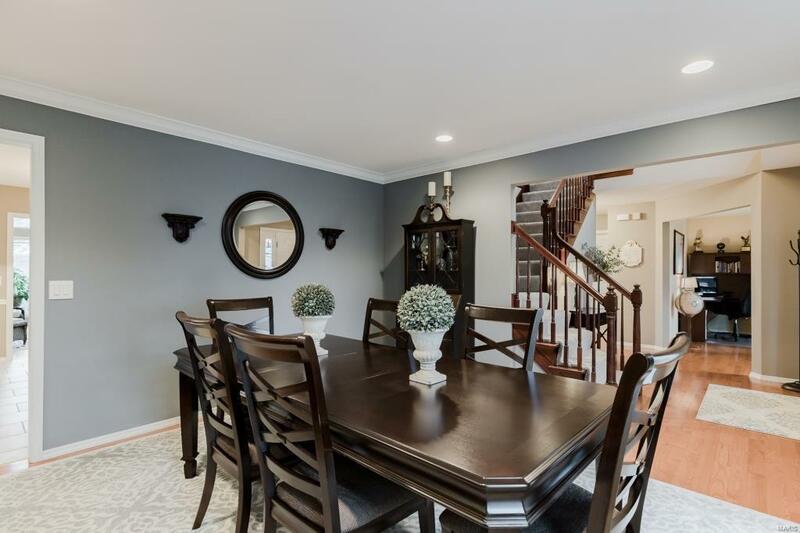 Kitchen w/SS appliances, Jenn-Air smooth-top cooktop w/downdraft, double ovens, quartz 13, island, cabinetry w/crown molding/lighting, backsplash, tile floors, pantry, desk & skylights. Main Floor Powder Rm & Laundry Rm w/utility sink. Master Suite w/vaulted ceiling, walk-in closet, Bth w/ jetted tub, separate shower, dual vanities, & vaulted ceiling. 3 addl Bd-1 w/double doors & laminate floors, 2 w/Jack & Jill Bth. LL wet bar w/granite, cabinetry w/lighting! LL Sleeping Rm, Rec Rm, Bth & Storage Rm w/shelving & sink! 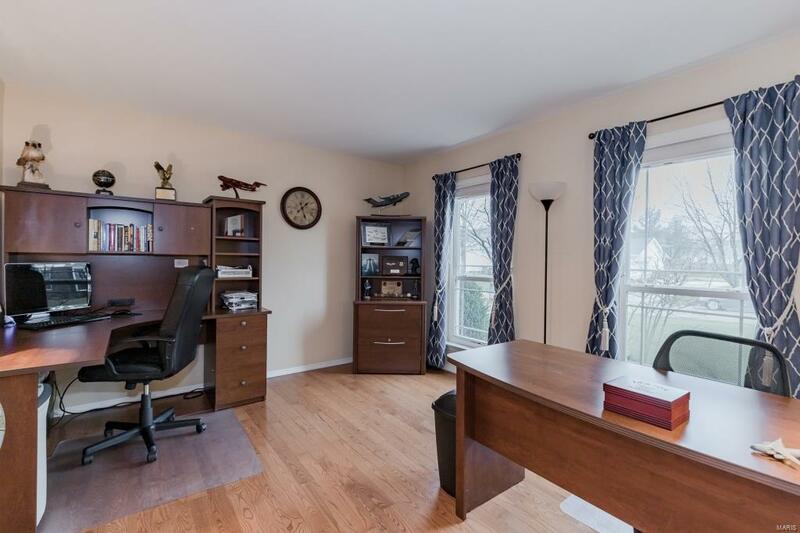 Highlights:3 car garage w/storage/work bench, attic fan, newer stain resistant carpeting, new shutters 16, new roof 16, new Trane furnace 18, T-staircase, built in LL speakers, sprinklers, patio wired-surround sound.